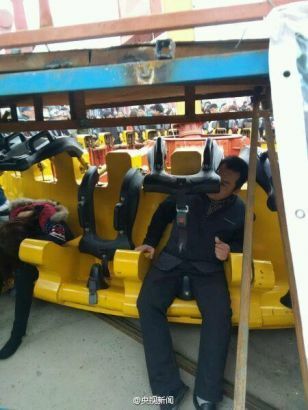 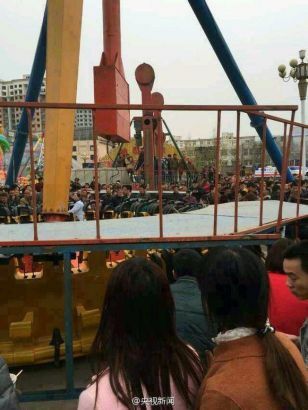 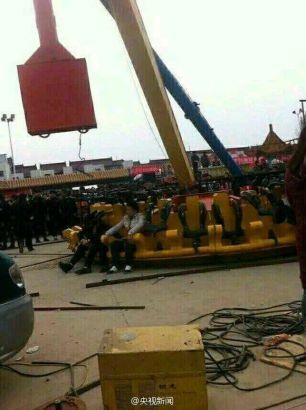 Nineteen people had been thrown off from a recreational facility named “Flying Saucer” at a funfair of Xinxiang city, Henan province on April 6. 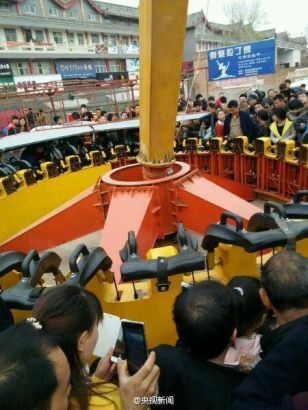 The “Flying Saucer” was among the attractions on the fair of the business street of Tongta Temple. 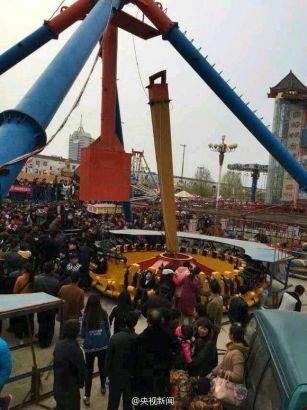 The spinning rod broke as the machine ran with 19 visitors on. 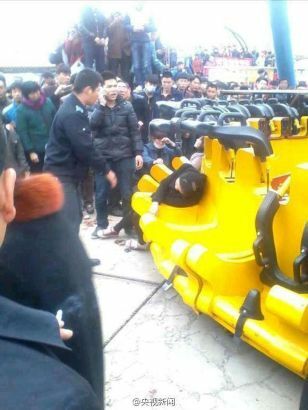 One visitor had a broken bone while the other 18 were slightly injured. 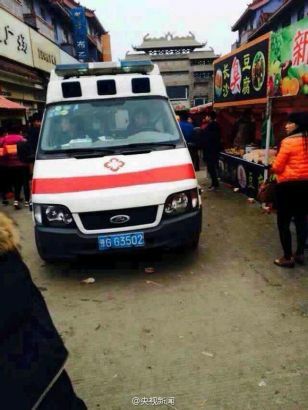 All the nineteen people were taken to hospital. 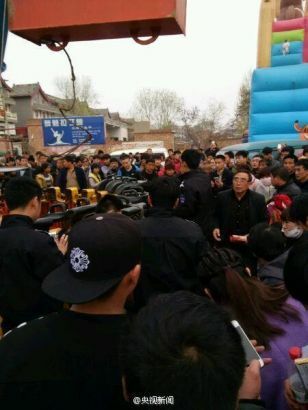 The owner of the facility has been detained by police. 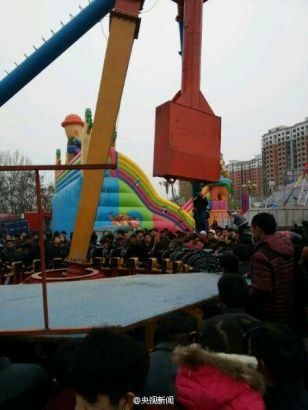 Further investigation is underway.